Elo Entuitive 1545C - 15" iTouch (capacitive), with serial and USB controllers, black. 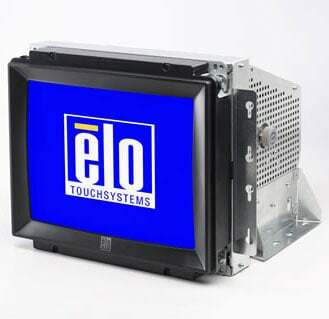 Elo iTouch touch-on-tube chassis CRTs are the right choice for your kiosk because they are durable, reliable, sealed, and deliver the ultimate in picture quality. Typical desktop monitor designs can change without notice every 12 to 18 months, creating havoc for the design and service of kiosks and other enclosed applications. Elo's kiosk CRTs reduce or eliminate the need for redesign by providing a much longer model life than plastic case CRTs. The Elo E770429 is also known as Elo Touch Systems	ELO-E770429	.